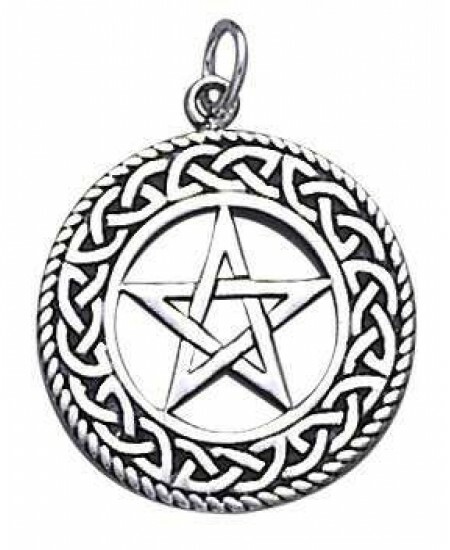 A Celtic Knot border surrounds this beautiful pentacle charm with attached jump ring. 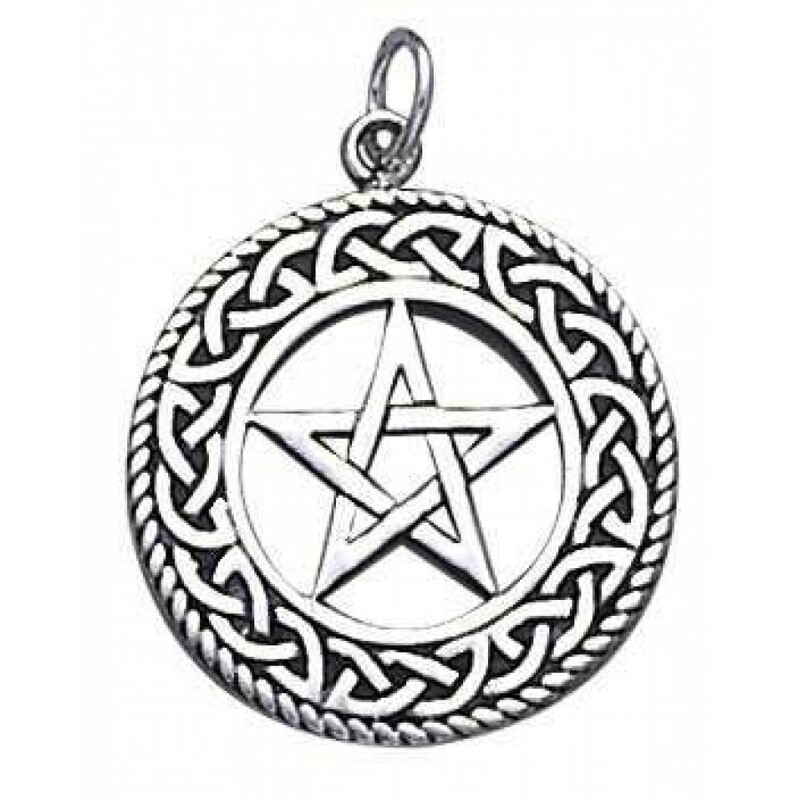 This small sterling silver pentacle charm is 3/8 inch wide and includes an attached jump ring Perfect for a simple necklace of protection - the small size is discreet and especially great for children. The jump ring is large enough to easily slip over your favorite chain or neck cord (or add one to your order today), or attach it to your charm bracelet. 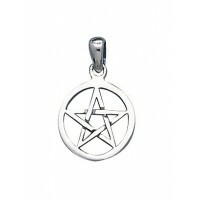 Solid sterling silver, we have a limited number in stock now for immediate shipment! 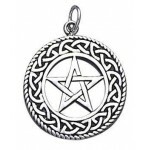 Available as the pendant alone or with a black nylon neck cord with sterling silver clasp in 18, 20 or 24 inches, or an 18 inch sterling silver box chain (cord and chain options are at an additional cost - select your option and it will show you the total price). 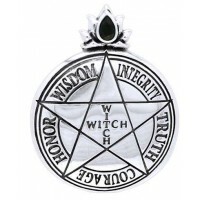 Item Number: PS-TC122 | Approximate Size (Inches): 0.45 wide x 0.01 deep x 0.45 high | Approximate Shipping Weight: 0.25 lbs.